Mild Hyperbaric Oxygen Therapy (mHBOT) is a safe, non-invasive specialised therapy that uses an increase in atmospheric pressure to increase oxygen supply into blood cells, blood plasma, cerebral-spinal fluid, plus all tissues and organs of the body. It has been shown to provide a wide variety of positive physiological, biochemical and cellular improvements in many conditions which benefit from increased oxygen availability. Bounce Matters introduces AirPod, a comfortable, relaxing and meditative experience. A typical treatment lasts for 60-90mins, during which you lay down, relax, breath normally, and maybe even have a snooze. Inflammation is an integral finding in numerous medical conditions and coincides with nearly all types of injuries and insults to the body. Numerous studies have reported chronic inflammation in Alzheimer’s Disease, Autism, Cancer, Stroke, Diabetes, Traumatic Brain Injury and many other chronic health challenges. Hyperbaric oxygen therapy (HBOT) has been demonstrated to substantially attenuate inflammation throughout the body. HBOT drives increased levels of oxygen into the cells of the body, by travelling through plasma, subsequently reducing inflammation and pain. Studies have shown that HBOT increases anti-inflammatory levels and provides increased cellular aid to heal target regions. As oxygen serves as one of the primary mechanisms to ameliorating inflammation, HBOT creates the environment where this process is stimulated and enhanced. Age-related diseases and degenerative symptoms throughout the body are a growing concern worldwide. 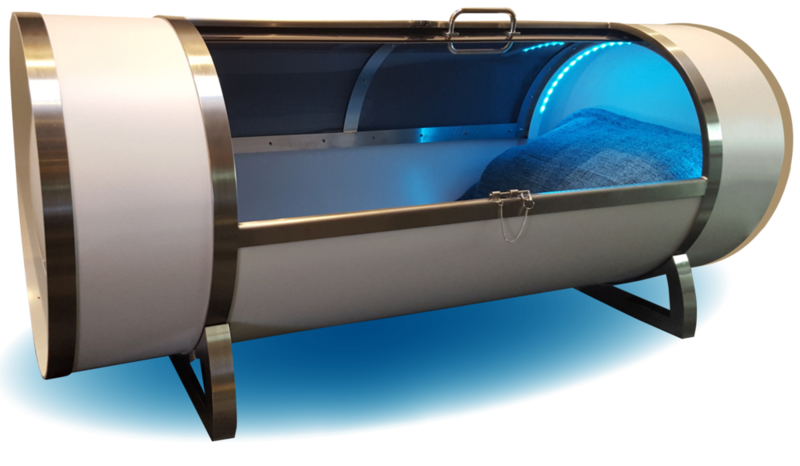 Hyperbaric Oxygen Therapy (HBOT) has shown to help combat degenerative conditions by contributing to the regeneration of tissue and blood vessels. HBOT stimulates angiogenesis (new blood vessel growth) in areas of the body where circulation is compromised and is utilised by some physicians to help treat Coronary Heart Disease, Macular Degeneration, Parkinson’s disease, Alzheimer’s disease, Osteo-arthritis & Immune-related diseases. Additionally, HBOT promotes collagen activation to help battle the signs of ageing including reducing skin damage and maintaining elasticity. Clinical studies have demonstrated the benefits of HBOT for age-related degenerative conditions by providing cellular aid to all organs in the body to promote health and beauty. Injuries caused by sports-related activities remain a substantial concern with players, coaches and parents alike. As inflammation and pain play primary roles with respect to recovery, hyperbaric oxygen therapy (HBOT) has been shown to significantly reduce inflammation and ameliorate pain. Additionally, HBOT can promote fibroblast / collagen activity to accelerate and enhance healing from surgeries and wounds. New evidence supports HBOT as an adjunct & practical treatment to help moderate the effects of traumatic brain injuries and enhance brain imaging results. HBOT is often utilized by doctors and patients to help reach a full recovery from high-impact insults to the body and is currently used by some of the US Olympic teams to treat sports-related injuries as a part of their official medical techniques and equipment. As with any instance of dissolving gas into liquid, pressure is used to dissolve more oxygen into the blood. The increased pressure then forces the oxygen deeper into oxygen-starved cells and tissues. mHBOT is exceptionally safe, particularly when applied at lower pressures and following proper guidelines. Please note, oxygen toxicity and adverse reactions are rare and pertain more towards clinical applications in hospital settings, where patients are delivered a much higher dose due to acute and life-threatening conditions. When applied at lower dosages, there have been impeccable safety records shown. A typical treatment lasts 60mins once or twice a day. 1-3 times a week for maintenance and wellbeing. 5-6 days per week for acute issues. 6-7 days a week for specific chronic condition* protocols. * Recent clinical trials show most benefit using the protocol of 40hrs in 30 days for 1-2months in conditions such as dementia, stroke recovery, chronic fatigue, TBI, and cerebral palsy to name a few. Packages valid for 12mths from date of purchase. The latest Japanese wellness technology is now available in Australia.